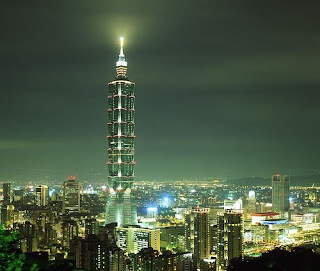 The Secret Sun: Illuminated Obelisk Update: Et Tu, Taipei? Illuminated Obelisk Update: Et Tu, Taipei? Here's the original megapost with other international illuminated obelisks. And here's a wiki-link for the new Tower of Babel being constructed in Dubai (where else?). Anyone want to lay odds on whether that too will be illuminated?